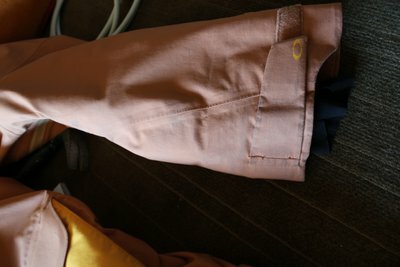 XL Oakley Gore-Tex kit from a few years back. 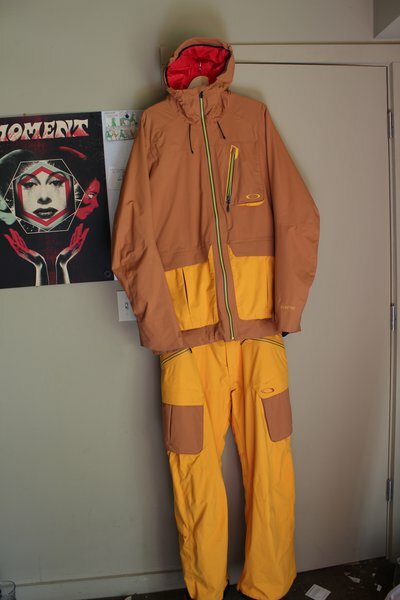 It was the Jake Blauvelt signature kit i think. Since it's gore, it has fully taped seams and is waterproof a.f. PLUS this one has down insulation - not throughout but in the core areas (torso, knees, seat of pants, etc.) to lock in the heat. This brings together the best of both worlds - like if Nate Dogg had ever hooked up with UGK for an album. toppa' top, make an offer!